Ryan Ballou has Duchenne Muscular Dystrophy and formed Ballou Skies with his father to provide funds for other boys with DMD that cannot afford the expensive OSU trial. 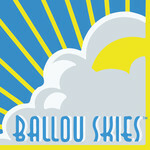 Through Ballou Skies they are able to participate in the trial, strengthening their hearts and lengthening their lives.100% of the money raised by BallouSkies goes to the heart clinic at OSU which allows them to perform the MRI procedure and collect the data. The mission of BallouSkies is to provide funds to map the hearts of boys with Duchenne Muscular Dystrophy. MD weakens all muscles. Without a cure, the most important muscle, the heart, will fail. If we can look at numerous hearts and map the progression of scarring and the weakening of this vital muscle we can hopefully extend lives until there is a cure. Our main race is the TransAmerica Chicago Sprint Triathlon Presented by Toyota. The Sprint race takes place on Sunday, August 30 in downtown Chicago. We are a featured Charity Partner. Our goal is to get 20 athletes competing in the Sprint distance race. All team members are required to raise a minimum of $100 for Ballou Skies, so please help us reach our goal! MD is a degenerative muscle disorder that affects all muscles within the body. MD weakens the musculosketal system and hampers movement. MD is a mutation in the dystrophin gene, an important structural component within muscle tissue that provides structural stability to muscles and cells. The normal human has dystrophin coating all of their muscles. People with Beckett’s MD have 40% of the normal amount of dystrophin, people with Duchenne MD have ZERO dystrophin. Without dystrophin, the body starts attacking muscles because it does not recognize the muscle without that important coating. This leads to their destruction. Duchenne Muscular Dystrophy or DMD is the type of MD that Ryan has. There are over 40 different variations with this type of muscular dystrophy which only affects boys. Weakness of the legs and pelvis associated with a loss of muscle mass is observed first. Eventually this weakness spreads to the arms, neck, and other areas. The team at the Ohio State University is working on making a clearer picture of the heart in MD patients. Dr. Stephen Cook and his team of doctors are using MRI technology to scan the heart to scrutinize a patient’s heart from every angle and every aspect. The goal of this is to check for scarring and other heart problems and then track these problems with future MRI’s. Then doctors can alert patients to heart problems before they arise and give them a chance to get proper treatment. This would allow boys and their families to know if there is a complication before it may become untreatable. This can help DMD patients and anybody with heart problems. If we can help to slow down the deterioration of the heart, this may lead to other muscles and in turn could aid in finding a cure. This research can lead to breakthroughs and may even aid in curing this incapacitating disorder along with many others. This research can also lead to cutting edge treatments of any heart ailment, not just in those caused by Muscular Dystrophy.